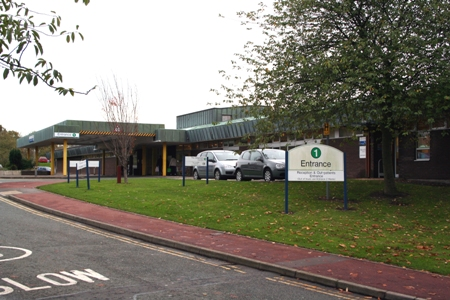 A range of care for medical and surgical conditions is provided at Halton General Hospital in Runcorn and it houses a mix of inpatient and outpatient services. It provides a fantastic, friendly environment for expert surgical care. If your surgery is non-complex and does not require a long hospital stay it is likely to be carried out at Halton General. There are low operation cancellation rates at the hospital as routine surgery is not as threatened by emergency work - which can take priority in larger hospitals. The hospital is home to a minor injuries unit (open 9am to 10pm every day) which provides a range of minor emergency care services for local people and the hospital provides x-ray facilities until 8pm. A step down ward at the hospital is designed for patients who have had surgery or emergency medical care but who require some further support before going home. We provide chemotherapy services on site and the hospital is home to the Delamere Macmillan Unit which provides cancer support and advice. The site is also home to our orthopaedic facility - the Cheshire and Merseyside NHS Treatment Centre- a standalone operating and clinical facility for orthopaedic surgery services across our hospitals. You can read more about the centre here. The hospital is easily accessible, located to the south of Runcorn just a short distance from the M56 motorway and local public transport networks. Our postcode is WA7 2DA. GUM (sexual health) - the GUM centre is located in a separate building at the side of the hospital. General surgery, orthopaedic surgery, urology, minor injuries (not accident and emergency), endoscopy, step down care, cancer care, programmed investigations unit, renal dialysis, chemotherapy and cancer support, genito-urinary medicine and a full range of outpatient services. Occupational therapy, physiotherapy, dietetics, outpatient services, diagnostic services, radiology and a range of specialist nursing services. The hospital has been entirely free of MRSA infection over the last six years and has some of the highest ranked patient feedback in the NHS according to the NHS Choices website. A new endoscopy unit for Halton - In February 2015 we opened our £500k endoscopy unit at Halton General, allowing local patients to have gastrointestinal endoscopies at the hospital. Urgent care centre - The first phase of a major new urgent care centre development opened in February 2015 which redesigned the minor injuries unit at the hospital and provides extra services for urgent care. The full unit opens in early spring 2015. Macmillan Delamere Unit - A £1 million refurbishment of the Macmillan Delamere Unit has created a state-of-the-art cancer support and information centre at Halton General for the trust's team. The unit reopened in autumn 2013. CANtreat cancer centre - The trust worked with the cancer charity CANtreat to develop a new chemotherapy centre at Halton that allows more local people to receive their care closer to home. Halton General Hospital was developed as part of the development of Halton new town with phase 1 of the hospital opening in September 1976. This included the main outpatient department and services. Phase 2 of the hospital which included minor injuries and ward areas followed a few years later. Before Halton General was built there were several smaller cottage style hospitals around the district. This included Runcorn Victorian Memorial Hospital in the Old Town.